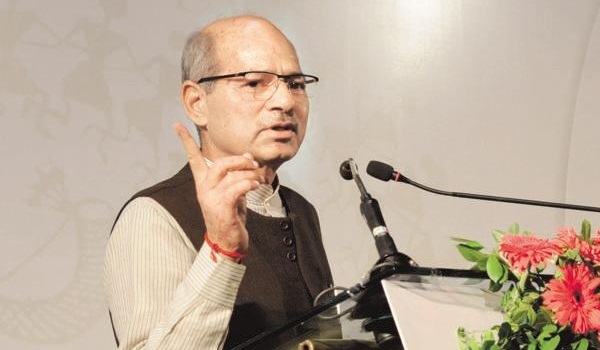 Union environment minister Anil Madhav Dave passed away this morning. He was 60. Dave had not been keeping well for the last few months. He complained of uneasiness at his home this morning and was rushed to AIIMS where he passed away, official sources told PTI. Dave was a Member of Parliament, representing Madhya Pradesh in the Rajya Sabha since 2009. Anil Madhav Dave was born on July 6, 1956 at Barnagar in Ujjain district of Madhya Pradesh. He did his M. Com at Gujarati College in Indore. Dave, was sworn-in as Minister of State for Environment, Forest and Climate Change (Independent Charge) on July 6, 2016 in the NDA government. Dave was also a recognised nature conservationist and has extensively worked for river conservation. He was also very passionate on projects including conservation of the Narmada river through an organisation 'Narmada Samagra' that he founded.